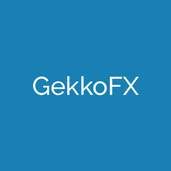 我的簡介 GekkoFX is all-in-one trading assistant. We scan forex, cryptocurrencies and indices to find best trading opportunities. With us you don't have to stare at charts, we'll let you know when something interesting happen.